The Coventry by Spencer Marston has beautifully tapered hardwood legs with decorative routing. 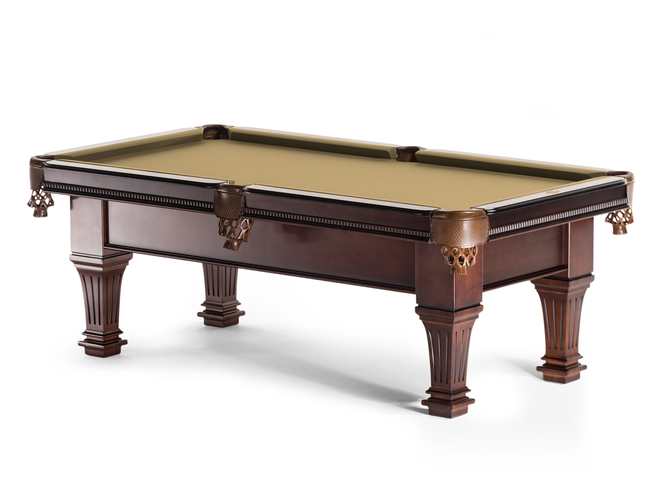 The Satin Walnut stain and double diamond sites make this model one of our most elegant designs. 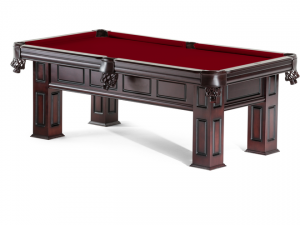 This model is available in 7, 8 or 9 foot sizes to fit your pool room.